hd00:55CIRCA 1918 - Various floats and a marching band and soldiers are in a parade celebrating the Armistice of 11 November 1918 in Washington, D.C.
sd00:17FORMER U.S.S.R. - CIRCA 1950-1960: Newsreel, a chronicle of the USSR. 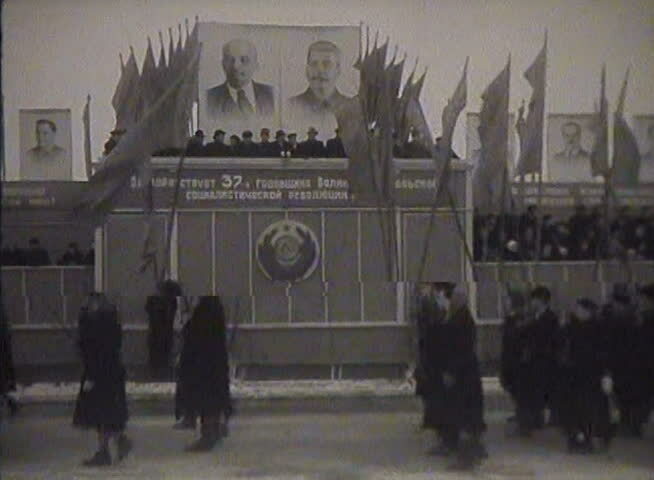 Demonstration and parade. sd00:58CIRCA 1952 - Children lead the way as a band of musicians walks uphill from a church in Santa Rosa, towards the mayor's house. 4k00:06LONDON ENGLAND 1961: a busy city life.